Students from Flint’s Tapology Youth Ensemble, accustomed to generating a great deal of applause from appearances on local stages, are readying for their biggest gig yet. 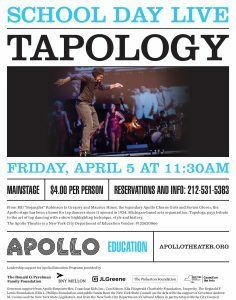 They’ve been invited to appear alongside Tapology’s native professional tap dancers at the famed Apollo Theater in New York City on April 5. “The trip holds special meaning for Tapology’s founders,” according to its principal, CEO and founder Alfred Bruce Bradley. 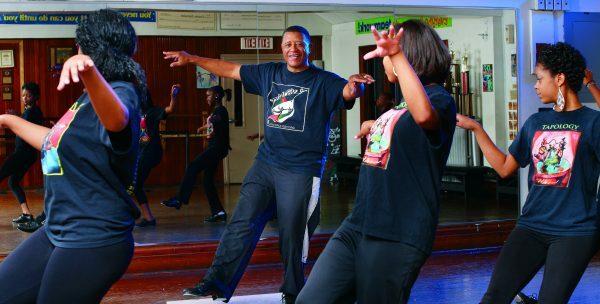 It’s a trip back in time for Bradley, who twenty-two years ago brought a group of young tap dancers from Creative Expressions Dance Studio to the Apollo stage. The Tapology experience is not just about dance. It enriches the lives of youth, who receive the support of world-class dancers, who come to Flint to teach and pass on this celebrated indigenous American dance art form. Participants get introduced to jazz through Tapology’s world-class musicians and acclaimed historians under the tutelage of Bradley and Flint native and assistant artistic director Alexandria Bradley, who also serves as a teaching artist for the Apollo Education Department. 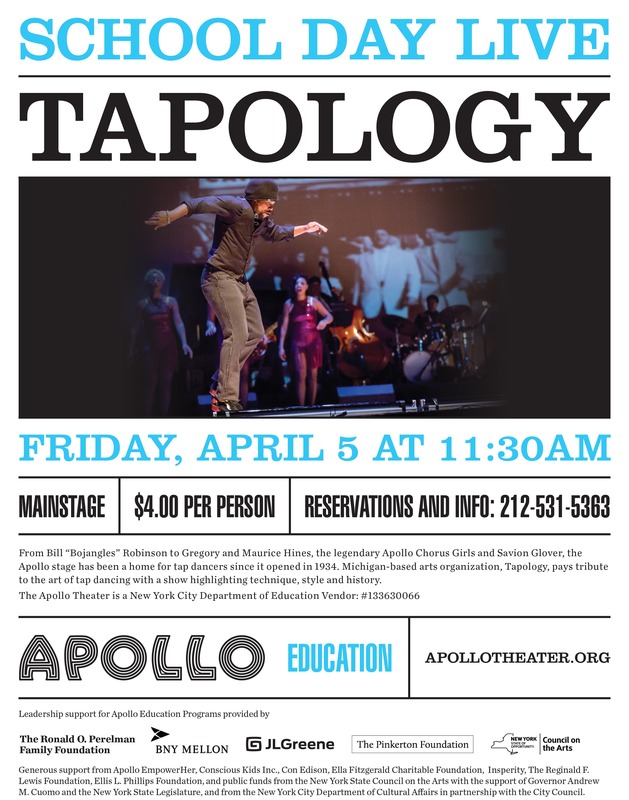 Ms. Bradley is a driving force of Tapology and was instrumental in bringing Tapology to the Apollo Education program for youth of Harlem, according to its founder. The youth assemble is ready to take the stage and is counting on community support needed to help get them there. 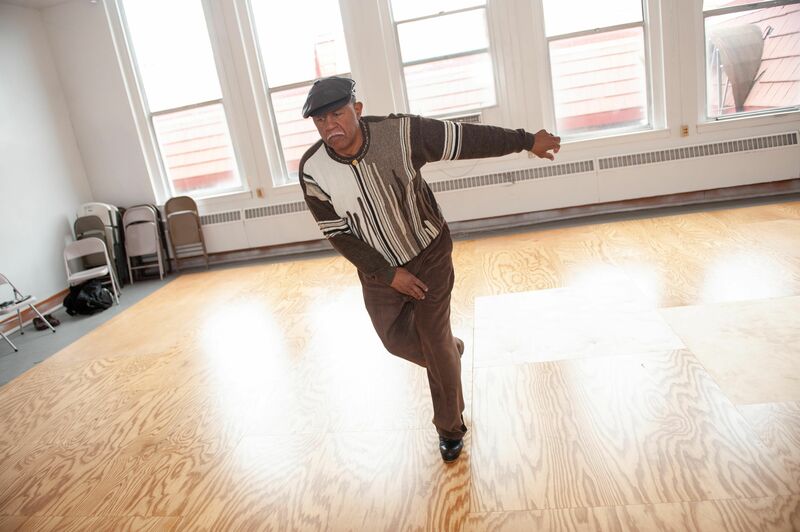 Programs are offered FREE at Sylvester Broome Empowerment Village Monday – Thursday from 5 p.m. to 7 pm. Tapology programs are supported and funded by the Ruth Mott Foundation.